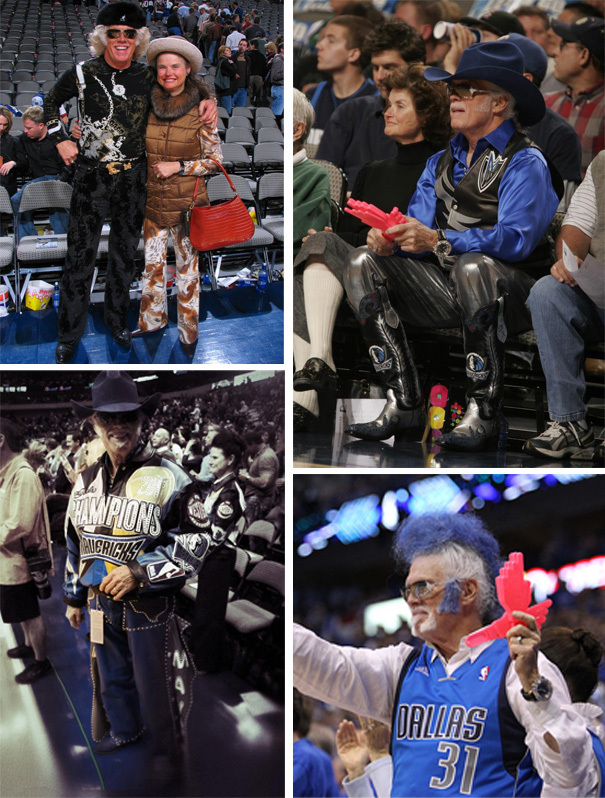 If you've ever been to a Dallas Mavericks Basketball game, then I am confident you've seen Super Fan, Don Knobler sitting courtside. He is at every game, dressed in wild outfits and cheering wildly for his favorite team. Don first started attending Mavs games back in 1997. His wife, Damaris, is just as avid of a fan as her husband is. Damaris picks out all of Don's outfits too. They are the cutest couple! Don certainly exemplifies the spirit of "Stylish Gameday." Here is a fun video interview with Don, if you want to know a little more about him.